The soon to be birthday boy has some bold opinions. On the heels of Bryan’s latest movie release, ‘Ride Along’ the guys debate who’s funnier, Kevin Hart or ‘The Kid’. Then, Bryan makes a bold statement, ‘tennis is just like boxing’ and Big Brown throws down a tennis challenge. Also, Brendan needs some help on why to get Bryan for his b-day and enlists the help of the fans. 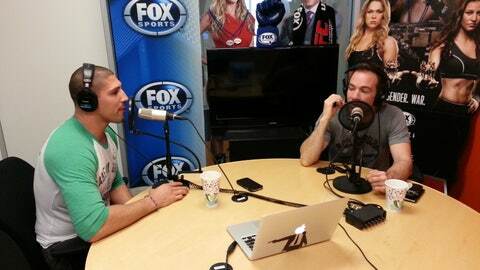 Finishing off the show, the guys breakdown the FOX UFC Saturday card and make their picks. Every week, actor/comedian Bryan Callen and UFC heavyweight Brendan Schaub open up their rolodex of fighters and celebrities and bring them to you. They share their unique perspective of the fight game and life in the only way they know how, uncut, unedited and just ridiculous.